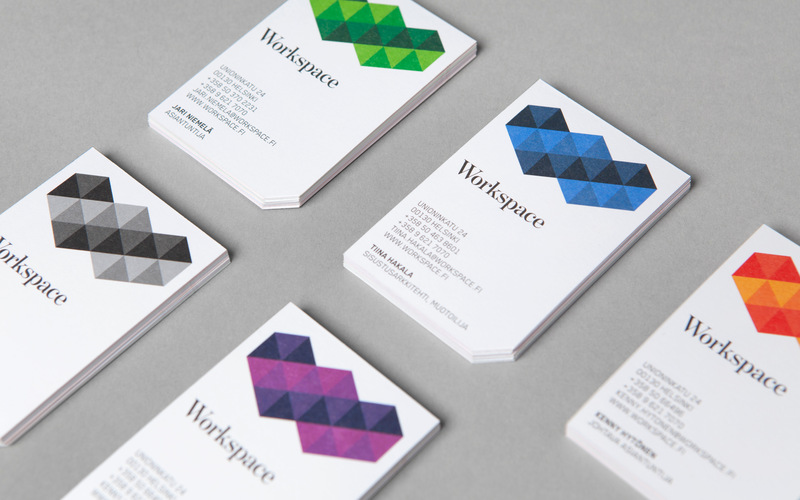 Jesper Bange of Bond Creative Agency designed these business cards for Workspace, a Helsinki-based interior design agency that focuses on creating better working environments for their clients. 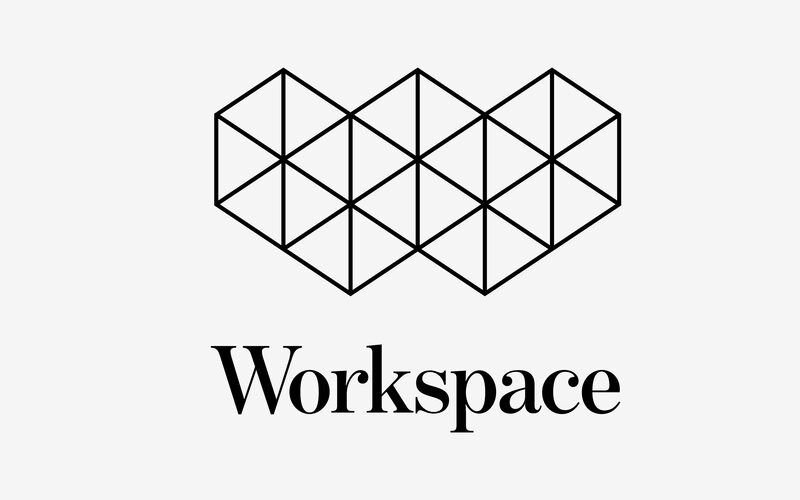 Bond created a logo, visual identity, stationery, and marketing collaterals to distinguish Workspace from its competitors. 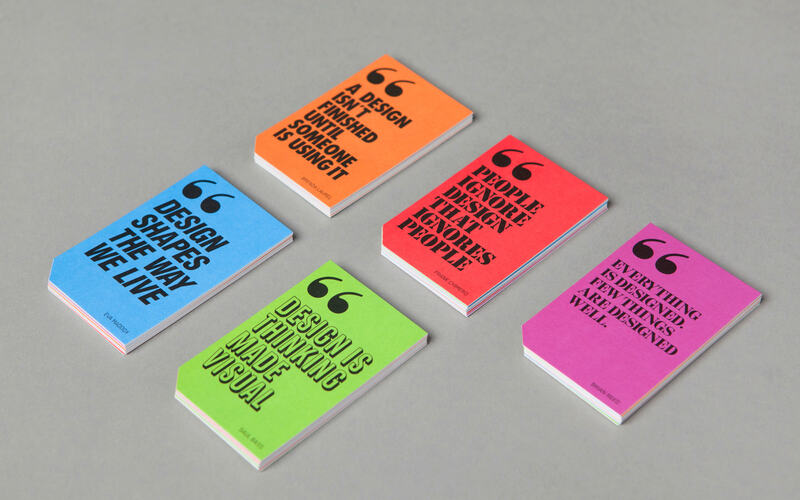 There is a variety of colour options for the logo on one side of the card, while design-related quotes were added on the other side to help explain the company’s philosophy better. Bond even added variety to the cards by using different typeface for the quotes on a contrasting background colour for optimal readability. 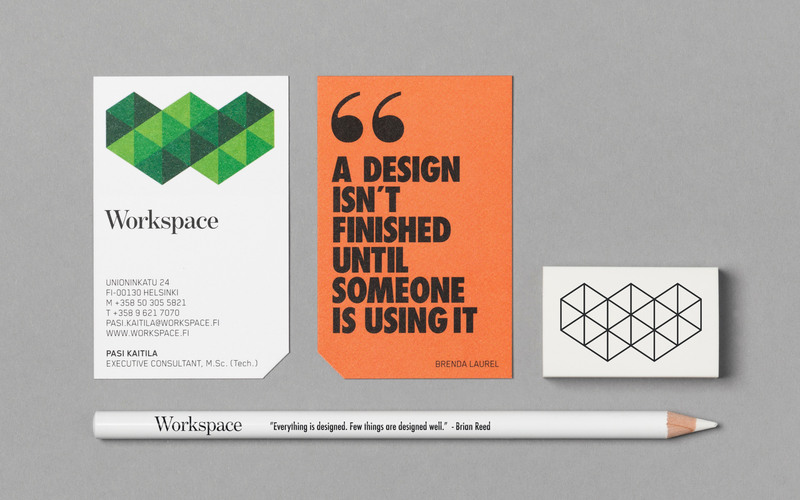 The clever use of unique shape, design-related quotes and striking colours are all tangible elements in defining Workspace as a vibrant, energetic and professional brand to their potential customers.